Bright White and Translucent describes new Casper, cone 6, doll quality, casting porcelain slip. This revolutionary new casting slip is made possible by clays from far away New Zealand. In the past if you wanted translucent porcelain you had to settle for beige, drab clays. This new formula from New Mexico Clay is easy to use, cleans easily and is scary translucent. All porcelains have a very fine, dense, vitrified surface, and require special care in casting and firing. Not every shape is suitable for casting in porcelain. Nightlights, Christmas ornaments, and small wall plaques are good ideas. 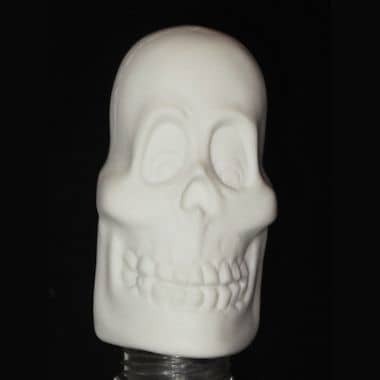 Have you heard of Lithopanes? They are scenes rendered in porcelain, with a light behind them or hung in a window.